Jun Ying, a former Equifax employee who was at one point next in line to be the company’s global chief information officer, has been charged with insider trading by the US Securities and Exchange Commission. The SEC alleges that Ying, 42, possessed confidential information about Equifax’s massive data breach in September before he exercised all of his vested Equifax stock options and then sold the shares, making roughly $US1 million. Offloading the stock helped Ying avoid more than $US117,000 in losses, according to the complaint. Ying was not one of the top company officials who were reported to be under investigation in the weeks following the breach’s announcement. That inquiry stemmed from SEC filings that showed three senior executives dumped almost $US2 million worth of stock days after the company learned of the breach. 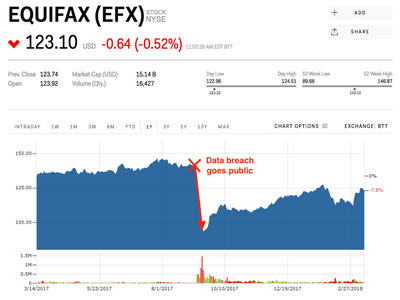 Equifax’s stock price was down 0.5% as of 11 a.m. ET on Wednesday.